I absolutely love anything that is a fusion of Indian and American styles. I can’t really explain why, other than that it is so quintessentially me. I have just as many garba/bhangra/Hindi film tracks on my iPhone as I do Britney, Maroon 5, and Nicki Minaj. I enjoy chaat just as much as I love In-N-Out. My Netflix queue consists of Hindi movies and Gossip Girl. Fusion is just who I am. Here are my favorite fusions in dance, music, and food. I discovered this video a few months ago via Facebook and have yet to tire from it. The classical song selection remixed and paired with hip hop is brilliant. It doesn’t hurt that the dancers are amazing. My favorite part is in the first song when the beat kicks in. So, so good! This mash up of Nicki Minhaj’s Super Bass and Mission Kashmir’s Bumbro is my current jam. I first heard this song featured on the Curry Smugglers (who are awesome! Check them out.) and I was instantly hooked. Okay, I love food so after much debating I’ve decided that my favorite Indian-American fusion food is tandoori pizza. Pizza is amazing by itself, but tandoori pizza adds such a kick that it takes pizza up a few notches. Besides don’t pizzas called paneer tikka or mango chaat make your mouth water? I found this cake on Pinterest and immediately repinned it with the caption “My future wedding cake”. 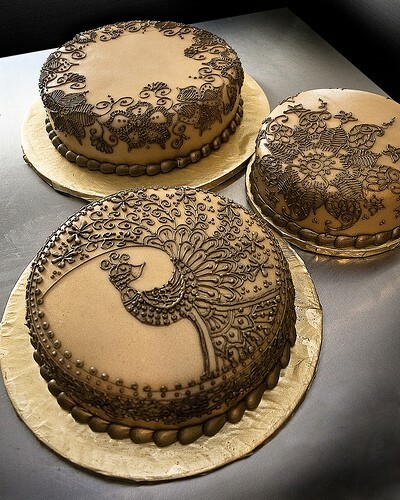 Jokes aside, I love the mehendi-like designs on these cakes. They look almost too pretty to eat. There is no better Indian-American fusion book than The Namesake. This is the book that started the Desi lit genre. 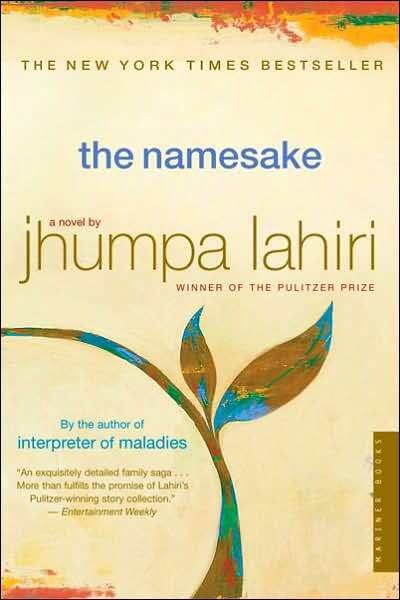 It’s one of my all-time favorite books and it’s what cemented Jhumpa Lahiri as one of my favorite authors. Do you like fusion? Why or why not? What are some of your favorite things in fusion? (It doesn’t have to be only Indian American fusion.) I’d love to hear your thoughts! Despite being born and raised in the US, I know a great deal about the Indian culture. I can speak Gujarati. I know the story of the Ramayana and Mahabharat. I have some shloks (prayers) memorized. I’ve read a lot about Indian history and have done kathak (Indian classical dance) for 12 years. I was taken aback by the question. I don’t think I’ve ever been asked that before from someone in my own generation. What does it matter, especially here in America? She then said “Oh you are so cute”, which annoyed me. I could tell she thought I was a naive little girl, but caste has never been a big factor in my life. 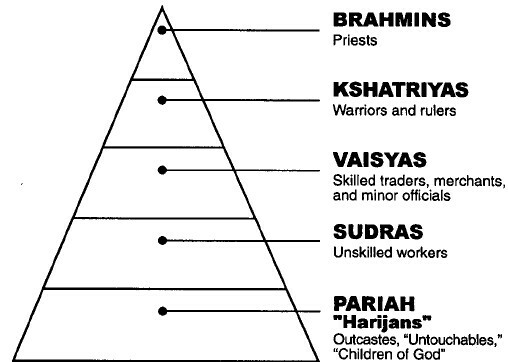 I know I’ve asked my parents what our caste is on numerous occasions, but they themselves are not concerned with it. Therefore it was never anything important enough that I felt the need to remember. It has never been a restriction for me. I’ve never been told I only have to marry only within my caste..in fact, my parents themselves didn’t. It makes me wonder why this girl who was born and raised in the States was so interested in knowing my caste. Perhaps she just meant it to be small talk or maybe she was genuinely interested. If these are the questions she asks during small talk, well then…that’s a whole other blog post. Does it make me a bad Indian for not knowing my caste? I don’t think so! It’s an outdated practice that has no place in the US and now has no relevance in big cities in India. Has caste played a big part in your life? Why or why not? I’d love to hear your thoughts! I’ve always loved to dance. Ever since I was little, I’ve been doing some sort of dance. At first it was ballet/tap, and then it was kathak, garba/raas, and Hindi film. I haven’t been doing many dances post-college (besides engagements/weddings) and I miss it. I’m thinking of taking a Bollywood dance class just so I can be dancing again, on a regular basis. Here is the video of a dance a group of friends and myself did at a wedding just last week.